A fine place with rooms that have large windows that let the sunlight stream in abundantly. 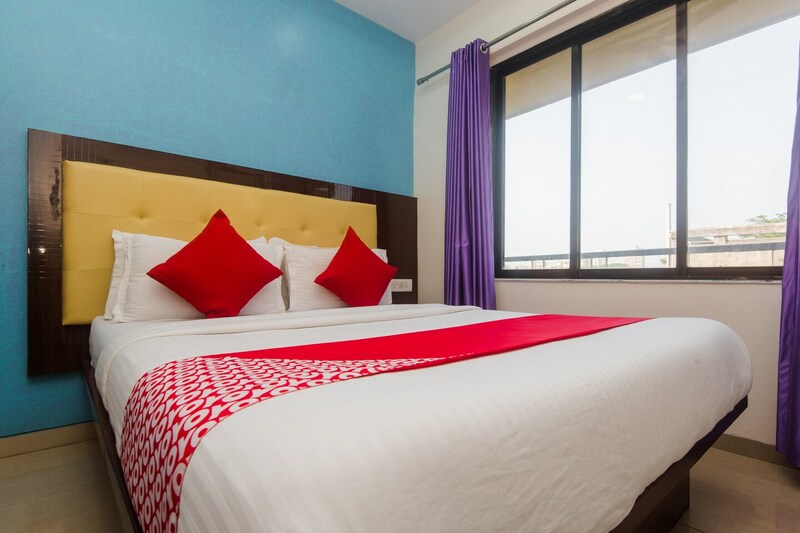 Hotel Symphony Grand is a hotel with a simple architectural structure and a fine taste in interior decor. The bedrooms at the hotel have light colored walls and dark wood furnishings, keeping the ambience light and warm. One of the walls in the room is textured and is in a dark color, creating a beautiful contrast, which along with the large windows, bring cheerfulness to the whole place. The cushioned headboards add to the elegance of the room and comfort for the guests. The hotel provides its guests with free Wi-Fi so that they may remain connected with the rest of the world. Other amenities offered by the hotel are a laundry facility and a card payment option.